The wedding is soon! 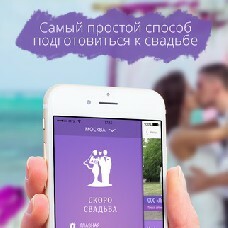 It’s an iOS application, that managers your wedding planning from A to Z! The catalog proposes you to choose the best program, restaurant, dress, cake and so on and so on that answers to your criteria based on budget or number of guests. Organizer would solve all your problems and give proposals from the chosen city for making your wedding an unforgettable day!